In our fast changing environment, many of us are asking questions about how to implement sustainable change. Possible solutions are delivered in the many models and stories comprising numerous business books. However, finding the right one for you can be an exhausting and expensive task. To help you find the best solution, I’ve used my years of experience teaching and studying change to synthesize the best of the models into one that is comprehensive and scalable for both large and small organizations. In the scaling, I wanted to develop a model that can maintain its integrity— not be simplified to the point that it is incomplete. As even small organizations face a significant amount of complexity, the model must still be robust and the leader must be able to make it work with limited resources as measured by time, money, and staff. One of my working assumptions is that any organizational leader who has held the role for any noticeable length of time is probably already quite adept with the kinds of change related to problem-solving…changes that might involve, for example, resource allocation, new technologies, shifts in distribution channels and so forth. Consequently, I am more intrigued with another category of change: one that differs in quality as well as in focus. I want to articulate an integral perspective on adaptive change. I explore several models and synthesize the principles they put forth into a series of questions a leader might ask to inform his or her actions to implement sustainable change when dealing with adaptive challenges. These adaptive challenges can illuminate deeply held beliefs and force not only a change in how the work is done but also in the organizational values and leaders themselves. The undercurrent is that the change process “works on the leader” at the same time “the leader works on the change.” What emerges is more than a process change or translation; it often includes a shift in the organization, shift in the leader and in others involved. These shifts could include changes in processes, personal values and beliefs, behaviors, and interactions. At the heart, the responses to adaptive challenges I find most interesting are those that change the leader and the organization’s relationship to processes, values, behaviors and interactions. In this paper I summarize the key theories that support the change methodology. As a practitioner, a student and a researcher, I wanted to test the theories and models on an organization that I lead and on myself to see how I experience them as the leader. While I have used various incarnations of this model, created by John Forman and I, on large-scale changes in national and global companies, I will focus on my experience using the methodology during a transformation of a not-for-profit nature preserve for which I am the Board President. This is a relatively small organization allowing me the opportunity to use the tools and have the personal felt experience of being the individual both changing and being changed by the organization. The examples included in this paper do not explore all of the complexities one could experience; rather, I present my personal experiences as a leader who transformed an organization in the hope that others would find them informative and helpful. The following section will illustrate the primary theories that inform the methodology I create later in the paper. I offer them as the theoretical basis and foundation for my thinking. I define Level 5 Leadership using the frameworks and tools created by Susann Cook-Greuter who developed the Leadership Maturity Framework (LMF) as part of her PhD at Harvard University. This framework is supported by the most rigorously validated, reliable and advanced assessment tool for adult leadership levels currently available, the SCTi-MAP. Understands the organization in a larger context of the environment; develops vision and strategies necessary for long-term success while also ensuring short-term success. “Walk the talk” becomes an expression of one’s moral character and authenticity. Able to deliver clear, concise feedback that empowers people to correct, redirect or recalibrate their behavior and feel motivated to make the necessary changes. Identifies and praises wins based on the overall project goals; has the ability to maintain momentum and support from key people and the overall organization. Able to convey both progress and continued urgency until changes are fully implemented. Throughout this paper, I will compare behaviors associated with Strategist with those of earlier developmental levels. For ease of discussion, these comparisons are limited to Strategist and the two levels immediately before Strategist (Achiever and Individualist). 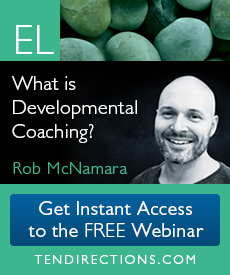 While individuals tested at a developmental level will demonstrate a broad range of behaviors and qualities, I give examples of behaviors that are more likely to appear at a given developmental level for illustrative purposes only. Not as inclined to assess strong consequences for ineffective behavior or to be willing to engage with negative behavior in others. Include the larger scope of community and longer time horizons – appealing to the legacy of the future. Progress towards results may be sacrificed due to an overemphasis on team dynamics. Meetings may be much more time consuming than necessary and cause a burden on the team members with regard to balancing workload due to a focus on consensus rather than generating buy-in. May believe leadership is best accomplished by the group such as self-directed, self-organizing teams . “The Work of Leadership” (Heifetz, Laurie 2001). The authors assert the idea that successful leaders must treat their employees as competent professionals who can successfully enable the organization to transform. An underlying component of their work is that leaders must share the brutal facts and expect employees to react appropriately. In doing so, part of the leader’s role is to help people navigate the territory between challenge and overwhelm, excitement and discouragement, acceptance and rejection. It is generally not the leader’s role to protect, coddle, or pacify employees. John Forman says that these moves can be self-focused, fear-based “caretaking” actions intended to control people’s contributions. His opinion is that sustainableadaptive change requires the inclusion of other-focused, love-based “compassionate” actions intended to free people’s contributions. From compassionate stances, leaders call their employees to take their own active role in transforming both the organization and themselves. Get on the balcony. Business leaders have to be able to view patterns as if they were on a balcony. It does not help them to be swept up in the field of action. Leaders have to see a context for change or create one if necessary. They should give employees a strong sense of the history of the enterprise and what’s good about its past. In addition, leaders should clarify their understanding of the current market forces and the responsibility people must take in shaping the future. Leaders must be able to identify struggles over values and power, recognize patterns of work avoidance, and watch for the many other functional and dysfunctional reactions to change. Most importantly, they must be aware of their own patterns of thinking, emotional habits, moral capacity and behavioral biases. Identify the adaptive challenge. The most important distinction is the one made least often – the identification of an adaptive challenge from one that is primarily a “problem-solving” challenge. For a transformation to succeed, the leaders need to understand the issues and required changes to the organization and the leaders, as well as the barriers and resistance they will likely face. Leaders must be willing to face what they will need to change about themselves as well as change about their organizations. Regulate distress. Adaptive work generates distress. Before putting people to work on challenges for which there are no ready solutions, a leader must realize that people can learn only so much so fast. At the same time, the leader must feel the need to change as reality brings new challenges. While people cannot easily learn new ways when they are overwhelmed, eliminating stress altogether removes a key impetus for doing adaptive work. Because a leader must strike a delicate balance between having people feel the need to change and having them feel overwhelmed by change, leadership is not only a razor’s edge, but the razor is in motion. Maintain disciplined action. Different people within the same organization bring different experiences, assumptions, values, beliefs, and habits to their work. This diversity is valuable because innovation and learning are the products of differences. Yet managers at all levels are often unwilling – or unable – to address their competing perspectives collectively. They frequently avoid paying attention to issues that disturb them and may attempt to restore equilibrium quickly, often with work avoidance maneuvers. A leader must get employees to confront tough trade-offs in values, procedures, operating styles, and power. Place the work where it belongs. Everyone in the organization has special access to information that comes from his or her particular vantage point. Everyone may see different needs and opportunities. People who sense early changes in the marketplace but this knowledge is useless if the organization will thrive if it cannot convert it to tactical and strategic decisions. When people do not act on their special knowledge, businesses fail to adapt. Conversely, without guiding authority, businesses can dissipate limited resources. Businesses will always require expertise and authority. Adaptive challenges require a qualitatively different perspective: because the situation is embedded in the people themselves, it will not “solve” until and unless the people change themselves. Protect voices of leadership from below. Giving a voice to people is the explicit foundation of an organization that is willing to experiment and learn. But, whistle-blowers, creative deviants, and other such original voices routinely get smashed and silenced in organizational life implying that making “nice” is valued over making contrary or uncomfortable observations. Ironically, it is the voices that perturb the stability of the social system that can generate the disequilibrium necessary for learning to take place. The easiest way for an organization to restore equilibrium is to neutralize those voices, sometimes in the name of teamwork and “alignment.” but in doing so, they may quash the inspirational force they are also genuinely seeking. The Integral framework developed by Ken Wilber is a comprehensive, inclusive, balanced model. It contains 5 elements: quadrants, developmental levels, lines, states, and types. For the purpose of this paper we will limit our exploration to a simplified application of quadrants and stages. This section will introduce quadrants. Levels were previously addressed in the Level 5 Leadership section. The quadrants represent 4 important perspectives in the context of each change (Figure 1). The upper half of the quadrants represent the individual while the bottom half represents the organization. The upper left quadrant anchors our beliefs and values – things that happen inside of us and are not visible when watching us. The upper right is home to the visible manifestation of our thoughts and values along with our reaction to the environment in which we operate. For the purpose of the change methodology, we will address what leaders think as they are implementing the change as well as what they do …their specific actions …in response to those thoughts and beliefs. The bottom half of the quadrants represent collective aspects of the organization. The lower left stands for the culture, guiding principles and organizational values. Like the individual beliefs, these cannot be observed directly but must be deciphered through some form of communication. The lower right quadrant is where we can consider the socioeconomic and political processes, the systems, the physical assets and the policies and procedures. This is the area most people focus on when making a change – they change the system with the intent of getting people to behave differently and produce different results. This approach is the best way to produce results and manage risk with a comprehensive approach that considers the leader as part of the change – not separate from it. Just as in quantum physics, the observer impacts the system and the act of observation influences both the system and the observer. The same is true in leadership. But while we all say that we all know the leader impacts the success of the system yet we often overlook the effect that their thoughts, behaviors, words, and demeanor have on the people implementing the change. Leaders can use these quadrants as a comprehensive map of the system to see what’s currently at play and what may be needed to make a change. People’s behavior is influenced by their thoughts and feelings and by the culture and systems within the organization. Combining the quadrants with Kotter’s eight stages of change builds a methodology that integrates what the leader thinks, what the leader does, the organizational culture, and the organization’s systems and processes. When considering all of these factors as a whole, the organization is more likely to create alignment and drive the desired behavior and change results. Dr. Kotter is a noted authority on leadership and the author of the eight step process referenced in the following section as detailed in his bookHeart of Change(Kotter, Cohen 2002). This model has been the foundation for my basic change management work for many years. As I have expanded my perspective and dealt with more complex and adaptive problems, I have expanded the depth of how I applied the model while still adhering to the basic construct. While this model appears to be linear in nature, the timing may not be in that often steps are repeated for multiple audiences and one step may not be complete when another is started. Throughout this paper, I explore the Kotter model in greater detail and provide examples of how the steps are applied. How leaders perform during the transformation and who they are in the face of a transformation has a significant impact on the success and sustainability of the desired outcomes long term. Many transformation leaders are meticulous about creating a plan and working the plan to implement complex transformations. Often, however, leaders focus on the external systems and processes while occasionally considering the corporate culture. Very few leaders invest the time to think about whom they are as a leader and how their behavior is impacting those touched by the transformation or, conversely, how their behavior and thoughts are being influenced by those they are leading. Those who want to give this level of care are often overwhelmed by the sheer volume of work to be accomplished and are not able to perform at the level they would themselves like to perform. This can cause great personal pain for the leader and for members of the organization. In addition to the pain leaders may feel because they are not able to perform to the level of their personal standards, many have also created unintended consequences due to the way they went about implementing the transformation. Some of these consequences were likely minor while others may have caused the change to fail— sometimes with significant lost investment, credibility and productivity, as well as an increase in organizational cynicism. These become legacies of the failed transformation for years after the change was complete or cancelled. The client organization is a not-for-profit land preservation organization focused on connecting people with nature. When the transition started, I was serving on the Governing Board but not in an officer role. The transition began when the Executive Director identified the need to address significant organizational issues that included a cash projection leading towards defaulting on a loan. The information I will provide focuses on the interactions and activities of the Executive Director and the Board. The retreat center and the founder have played an important part in one-on-one experiential education about living in harmony with nature. Rustic cabins set in the woods with oil lamps and composting toilets are key contributors to the guests’ experience. Evenings were spent in a communal dining room discussing the animals sighted during the day or other topics of interest. With the founder’s retirement, the organization that had been run as a sole proprietorship became a not-for-profit joining forces with the land preservation organization with a mission focused on environmental education. This created an organization with about 430 acres including a pond, grasslands and hiking trails. However, funding retreat center operations was the primary goal of the combined Board of Directors. The organization was started by “friends” of the retreat center to preserve the property adjacent to the retreat when it was put on the market for sale. I joined the Board at the request of the Executive Director to help her make the changes she believed were important for her success and that of the organization. I had been a patron of the retreat center for about 10 years and considered the founder to be a dear friend. The Board was small and rather fatigued by the amount of work required to maintain this precious and revenue challenged organization. Our goal was to transition to a sustainable business model that honored the important work the founder started while also making changes to allow it to operate in a manner that promoted financial stability. Previously, the organization seemed to operate on the passion and purpose of the founder who sustained it through his personal income as a university professor. I bring the perspective of a Board Member for a year and, later, as Board President for 10 months by the time this article was written. I take these perspectives from the developmental level of Strategist as measured by the SCTi-MAP and equivalent to the Level 5 Leader as described by Collins in Good to Great. 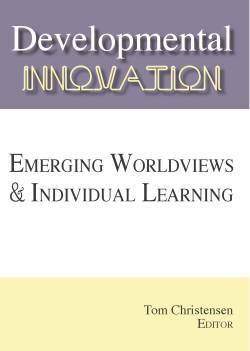 I also explore potential leadership behaviors and approaches that reflect earlier developmental levels, such as Individualist and Achiever. My intent is to help the reader develop a clearer understanding of the developmental levels and how the leader expands his/her ability to take additional perspectives, to tend to personal emotions and those of the group, and to behave in a manner that supports achieving the stated mission and vision. The first stage of successful large-scale change is to ensure key parties understand why the change is urgent and necessary. At the heart of this step is to help participants recognize that they need to change to allow the organization to move forward. In many cases, the change is adaptive, meaning both the leaders and the organization need to change. In essence, the problem solves the leader while the leader is concurrently solving the problem. Because adaptive change involves personal transformation, creating a sense of urgency is qualitatively different than if the change is just a transactional change (instead of transformational). This sense of urgency generally begins at the top of the organization or business unit with those who charter or authorize the change. During the change process the leaders convey the sense of urgency to the broader organization. This cascading of information may begin at the beginning of the project and continue during much of the change. The amount of communication and the duration will depend on the nature of the change, size of the organization, and resistance to change. If the leader is running a business unit rather than the organization, clarifying urgency could mean gaining acceptance from his/her boss(es). Note that while the leaders charter the change, employees have often seen the need for the change for some time and many are willing and able to participate and champion the movement from inside the organization. Why do I believe this change is urgent and necessary? What do I need to change about myself to lead the change successfully? What will I need to change about my leadership style to lead an adaptive change and corresponding business transformation? What is motivating me to make this change? How will I model an appropriate response to the sense of urgency by my actions? What actions to I take to respond to the urgent concerns of my stakeholders? How will I encourage the segment(s) most likely to change without ignoring others? How will I explain the impact of change in a manner consistent with our culture and values? What stories can I use from our corporate folklore to illustrate prior examples of urgency and positive outcome? How can I convey messages that use emotion (personal stories) and external sources to demonstrate urgency? 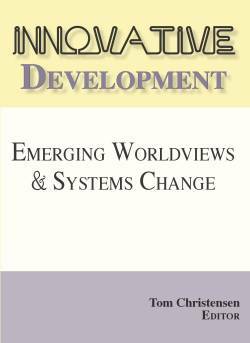 What systems must change immediately to develop a high impact organization? What do my stakeholders see as urgent? Important? How does this perception vary across stakeholder groups? Do the employees see the need to change the culture to be more successful? What about the culture must change to support more effective business operations? What types of assessments are or can be performed to quantitatively determine the urgency and options? Are the assessments comprehensive in nature? Do they include input from stakeholders inside and outside of the business? What are the barriers and enablers that will impact success (legal, financial, building, staffing mix)? What systems need to be changed immediately to remove short term barriers? What resources are required to succeed and how will we secure them? What measures should we track to understand the employees’ sense of urgency so we can manage their level of distress – creating an environment that promotes change without overwhelming people? How do I measure and report to stakeholders on the items they said were important? As I stepped onto the balcony (to borrow Heifetz and Laurie’s term), I had the opportunity to ask myself key questions from each of the quadrants. Following are brief answers to some of these questions. These helped to drive my actions as a leader with this not-for-profit organization. The questions I answered were driven by what was most pressing for this organization. Not all questions will be appropriate for all situations. However, the broad range of questions should cover the range of situations most leaders will face. I will use this approach through the eight steps of change. What do I think/believe?As a Board Member, I believed the change was critical for the organizations’ survival but I failed to realize the amount of change necessary in my own skills. Initially, my primary motivation was in seeing the organization succeed. As the situation progressed and I became the Board President, I found I was committed to maintaining my personal commitment as an advisor due to financial pressure – the organization was heading to a default on a loan co-signed by former Board Members. I was committed to my emerging vision of land preservation and how this property could support the community. Based on years of discussions with those involved in the retreat center operations, I believed that we were not going to find a working model when so many other dedicated people before us had failed. My head made the strong argument that selling the retreat center was the right answer for the organization. While I could take this position in light of the business issues, I also had serious questions in my heart about being a traitor – I was not willing to do what those before me had done to keep the organization going. I struggled with these feelings during much of the transformation. What do we believe? The stakeholder perspectives differed significantly on what was urgent and how to address those needs. The issue that stood out most prominently in my view was that the culture at this point was mired in conflict avoidance. Most of the Board Members felt a strong loyalty to the founder and did not want to significantly change his organization. I perceived that the commitment to the founder and to the organization’s history was weighted more heavily in decision-making than the need to develop a strong operation that could sustain itself well into the future. Beyond the conflict avoidance was a pervasive “politeness” such that people did not raise difficult questions in the group. Indeed, later in the transformation several Board Members indicated their regret about their willingness to go along with the meetings and not raise critical issues. However, the culture was complicated by the fact that the Board President at the time (my predecessor) appeared to define leadership as reassuring people that things would be alright and we would succeed. This was not balanced with considering the brutal facts and aggressive action planning and accountability management. I focused on changing the conflict avoidance behavior first because I viewed this behavior as preventing us from having the conversations necessary to make the needed changes. As a Board, we had allowed the financial situation to move to a point where the organization was no longer viable. We met monthly and talked about many important operational issues yet did not aggressively take a stand to solve the financial challenges. It is my opinion that unless this behavior was addressed, we would not be able to become a highly successful leadership team. I personally hold a strong bias toward facing the brutal facts – even though I really struggle personally with this behavior. What do I do? The Board President decided to step down during the financial decline. My first real act of courage was to offer to step into the role of President. I changed my tone in meetings and altered the focus of those meetings. We reviewed transition options AND expressed opposing points of view. I was aware of the emotional distress the sale would cause for most of the Board Members and focused part of my attention on tending to the level of urgency people were feeling and how it impacted them personally. People would be letting go of an organization they had come to rely on for 25 years. Many of us had stories about significant personal transitions where this retreat center in the woods played a major role in our lives. However, I believed we all needed to see the strong negative consequence if we were to slide back into the thought process that things will work out now because they have in the past instead of facing the brutal facts. How do we do this?During the financial decline, the Executive Director resigned and we as a Board were facing potential default on the mortgage on the property or we had to do some significant fund raising in a short period of time. While the total sum of money was not large by some standards, we had not proven successful in fund raising during the previous year and lacked strong fund raising expertise on the Board nor did we have a great story to tell of how we were successfully impacting the community. We did a thorough analysis of the current operations including how we had performed during the past year in response to several changes in pricing and staffing structure. Additionally, we evaluated the change in reservations for the retreat center– the rate of growth and change in demographics of customers to determine our projected revenue and cost going forward. While all of these indicators were moving in a positive direction, we were out of money and not able to cover our short-term costs. Our main measure of success and failure was our ability to meet our financial obligations irrespective of the positive trend in the other measures. We looked at several scenarios for improving operations: closing immediately, remaining open for the balance of the season, closing the property and retaining it, selling the retreat center as a retreat center, or selling the property to a private citizen. To determine the best course of action, we evaluated: cost of staff, Board time, impact on the community, impact on the donors and impact on the Board. An external senior executive, a former partner at a major consulting firm, was brought in to validate our approach and the findings of the scenario analysis. This analysis confirmed my initial belief that the center needed to be sold. Early in our transition, we focused heavily on the financial data and our responsibility as Board Members to ensure we did not default on the loan. We talked about potential risk to the organization and ourselves if those who guaranteed the loan believed we had not acted properly. To respect our loyal clients and friends, we decided to remain open and honor existing reservations and accept reservations to operate at capacity for the remaining open days. In the beginning of our process, our main barrier was a lack of consensus on the best approach; we had opposing views about how we should address key tasks such as communications and fund raising. We as a Board needed to refine how we worked together as a team. The decision making process changed as we addressed our urgent needs and we become a more cohesive and focused group. Analysis of Action Logics. At the Strategist action logic, a leader is willing and able to look at success from the perspective of the multiple stakeholders inside and outside of the organization. These leaders are able to consider short term and long term urgency and understand how they are interconnected. Strategist leaders are able to integrate their own personal point of view with the objective data to craft a comprehensive perspective on the situation. The Individualist leader would likely focus on stakeholder perspective and possibly less on the hard financial indicators and measures. This reduced emphasis on the financial data and measures could lead to delays in key decisions or decisions that favored stakeholders over standard performance measures. Earlier action logics like the Achiever may focus on the measures of success with less focus on stakeholder impact. This lack of emphasis on stakeholders could damage the organization long term as much of the support in this situation comes from donors. Jim Collins, author of Good to Great, would advise one to first determine who is to be on the team and then what is to be done. This stage addresses the first half of his equation in that the leaders must determine who will be involved in the transition and in what roles. This is both a vote for who is and also who is not part of the transformation or on the leadership team. A few potential selection criteria might include experience and skills, ability to create buy-in, perceived leadership and influence in the organization, and behavioral qualities that will allow participants to function well as part of a team. Do I believe the change is good for those I am inviting to participate? How will my behaviors and beliefs impact other’s success? Who are the right people and how do I place them in charge of the biggest opportunity (not the biggest problem)? How do I recruit them for this personal and business transformation? What comments and actions should I take that demonstrate my belief that change is possible? Am I looking for opportunities to visibly support the project as events unfold? What am I doing to retain the participants in the company and on the project? How do I lead a team based on the task at hand? Am I focused sufficiently on running the business while still attending to the change (personal and organizational)? What are the social and cultural norms that dictate who should be leading the project? How do we use the project as an opportunity to test new behaviors and demonstrate their positive impact on the organization? Do the current social and cultural norms still fit for where we are going? Do the people leading the change have the right support to change the culture as appropriate? What are the key skills and behaviors necessary for the organization to transform? What are the gaps between our current staff and the staff needed to support transformation? Does the organization have people available with the right skills and behaviors? What is the best combination of approaches to allow us to meet our staffing needs, including hiring, reassignments, temps and consultants? Does our hiring strategy support attracting the type of people we are trying to find? Are we asking the right questions in the interview process to select people who can successfully implement change? What trust building activities can we conduct to improve the team dynamics? What measures should we track to reinforce desired team behaviors? Personal and professional changes? If the transformation is a long one, how are team members rewarded for their effort and risk? What happens if a team member does not thrive in the project environment? Am I communicating what stakeholders believe is important to the team? What is the process that supports selection of team members? Are they formalized? What are the criteria that will support team success? After the resignation of the Executive Director, the Board needed to act quickly. I requested the role of Board President and led the organization during the balance of the transition. What do I think/believe?I believed we needed to sell the retreat center operation – that it was possible and necessary to maintain the balance of the land preserve and maintain a sustainable organization once the retreat center was not the major focus. I believed the change would be painful for many and that in the long term, it would be good for all involved. I was not comfortable asking people I respected to get involved until we had a strong plan for how to move forward. I did not want to recruit anyone to the team even though we needed the support until we made progress on the sale and transition. Regarding the Board, I also considered size of the group. We had a group of five people during much of the transition. I found this size manageable in that I could keep everyone involved in the decisions. I was concerned that growing the size of the Board would increase my work significantly at a time when I was donating much of my personal time to this project and did not have much additional emotional or physical capacity to include additional people, even if they added a great deal to the organization. During the transition we had two Board Members resign. I learned in a very personal way what humble and tenacious meant for me (those are words that Collins used to define Level 5 Leadership). We made a very difficult decision and the departure of key Board Members, while appropriate for the organization, was personally painful for me as I felt my style or my presence was a problem to them. While I do not know if this was true, I believed we needed the remaining Board Members to support the decision to sell and dedicate their efforts to the work at hand rather than focusing on previous decisions. What do we believe? The social and cultural norms for the organization had been that the President did much of the work of running the organization. With the change in leadership, I was the person who needed to lead the sale rather than delegate this role. This norm remained generally unchanged given the other extensive changes in progress. However, the amount of discussion and candor the Board engaged in when making the decisions involving next steps and transition planning did change. We did have Board Members who would not support the change in how the Board operated. This became apparent as we were becoming an organization committed to direct and honest communication, willing to openly address brutal facts and differing points of view on how to go forward. We lost two Board Members during the transition in part because they did not support the decision and possibly because the new culture did not fit their preferences. The remaining Board Members shared a belief that most volunteers will stay committed during busy lives if they gain from their involvement. This gain could range from a sense of involvement and purpose to gaining valuable experience that translates to their professional careers. What do I do? Initially, I needed to determine who should not be on the bus. I encouraged a long term Board Member to either support the Board’s direction or consider leaving the organization. He did decide that leaving would be the best decision for him at that time. While this was difficult, he has since reengaged and I expect he will remain involved long term. We had an issue arise with another Board Member who experienced a mental health issue and became hospitalized. After much thought, I asked the Board to remove him during his illness. While this was a delicate topic, I took the perspective of risk management and looked at the impact of him as a voting Board Member while he was experiencing mental and corresponding legal issues that could put us at risk and invalidate our Directors & Officers insurance. I spent a great deal of time communicating with the retreat founder. I respected him for years and believed his involvement would guide the organization to better solutions. This involvement was often emotional for me because I was dismantling an organization my dear friend had dedicated his life to building. It would have been easier for me to press forward without these conversations, yet his support seemed important to maintaining support of the overall stakeholder community long term. I also felt the need to let me friend have input into the process. He eventually asked me to proceed with no more input from him. Later in the transition I recruited new Board Members to serve in the Treasurer role and the Development Chair. The new members were not loyal supporters of the retreat center yet they supported the vision of the larger future organization. They were also people with good experience and sound judgment. While I made many of these decisions initially, I sought counsel from other Board Members and gained approval before moving forward. Indeed, I talked to most of the Board Members weekly. Some of the conversations involved clarifying my actions while others focused on jointly resolving issues as they arose. This seemed important to maintain his legacy and also he is strongly connected with the community of supporters. Part of my intention was to remain aware of their comfort levels with the transition. How do we do this? We did not have any overt trust building activities but I did stay in close contact with all Board Members through meetings twice a month. During our meetings we discussed our vision for the future organization as well as why we were involved and what we wanted to gain as well as give through our involvement in the organization. The change in the Board seemed to be a critical turning point in the transition following the sale of the retreat center. We updated the Board selection criteria and processes for interviewing Board Members. This happened after the sale of the retreat center. It was not a priority during the sale but will support recruiting and maintaining a high quality Board going forward. We created a Board Information Package and Board Application as well as Selection criteria that consider both experience and behavioral competencies we want to see from Board Members. Some of these behavioral competencies reflect the cultural norms we established during the transition such as open communication and the ability to differ constructively. Analysis of Action Logics. The Strategist action logic is strongly focused on the overall goal of the organization and how to accomplish that goal while balancing the many interconnected systems and interpersonal dynamics. In this specific step, the behavior aligned with Strategist was tending to peoples’ personal needs as well as what they had to offer the organization. While getting the right people to join the organization, we also supported the departure of people whose involvement contributed to the organization’s current distress. An Achiever may have pushed people to join without tending to what they needed to receive to maintain their commitment long term. An Individualist may have invited many people to join and consequently experience challenges with a larger group who may not have been aligned in their expectations thereby taking more time and not accomplishing key goals as quickly. Time was critical during this phase and a smaller group was easier to coordinate. Once the leaders identify who should be involved, the next important task is to decide what should change to promote organizational success. The change team clarifies the goals of the project and ensures they are aligned with the goals and guiding principles of the overall organization. This vision addresses the guiding principles or norms they will follow during the change process to ensure the values of the organization are honored. How do I see myself in the future? How does my view of myself impact my ability to participate in this change? How do I see our organization within the larger environment (ranging from the company to the global environment)? What are the connections between possible business futures and my personal mission, passion, and economic goals (Hedgehog Principle in Good to Great)? How do I gather input from key stakeholders to incorporate into the vision? How do I consider best practices when setting the vision? How do I synthesize the competing goals and commitments to create a vision that works for the organization and is supported by multiple stakeholders? What organizational vision and strategies will move my part of the business into a position of long-term success? What are the visions and strategies within my part of the organization or departments? How do I translate the vision into long and short term timelines? How do I incorporate specific tangible goals into the timelines? What do I fund based on the timelines and when? What are the organizational guiding principles? How does the organization see itself in the context of the larger community? What do we believe we stand for? What do we believe about how we should behave to accomplish what we stand for? How does our organizational vision fit within the larger context – community? Industry? If you are making a change in a Department of a large organization – how does the vision support the overall organization’s vision? How do we create a belief that the vision will help the organization succeed within the larger community and also help the community succeed? What is our process for determining the shared vision and values for the organization? What is the process for clarifying and documenting our guiding principles? How does the organization develop their vision taking the greater economic conditions into account? (Hedgehog Principle in Good to Great)? How do we understand and incorporate stakeholder priorities into the vision? How do we cascade the shared vision of possible futures (realistic and wild card options) to all levels of the organization? How do we translate the vision into a measurable work plan with goals? Who owns the specific goals? What measures help the organization determine progress toward goals? How do we track and report progress to these goals? What do I think/believe?I see myself helping to create a successful transition for the organization. I place a strong emphasis on the learning that can take place in a natural setting; this belief inspires me to dedicate the time and energy necessary to help this organization succeed. I believed we could sell the retreat center to someone who could operate it effectively by changing the business model in ways we were unable to given our current constraints. Once the financial and time pressures of the retreat center were lifted, I would be able to dedicate my energy to creating broader opportunities for the community to use our 380 acre land preserve for educational opportunities. In addition, we would be able to provide support for other non-profit organizations that support children by making our property available to Scout troops and the Urban League. What do we believe? The organization’s view of itself was and still is emerging. The initial goal was to protect the retreat center by buying the land adjacent to it. As such, with the decision to sell the retreat center, we were wondering what we were all about. We continue to ponder this question but have determined that we want nature to take the lead in teaching; that we are not interested in building buildings or having staff at this point. This is a transition from our earlier views during the transition when we believed we needed to create some structures upon the land to make it more attractive to visitors. It has been fun to watch how those involved changed their perspectives over time. What do I do? I worked diligently to sell the retreat center. At the same time, I facilitated the planning sessions, refined the business plan and created the status reporting process. I believed we needed to take action to both get out of the retreat business and have a new “north star” that inspired Board Members and the public to remain involved. The Board explored potential futures for the organization to help us clarify our vision, mission, guiding principles, and organizational results and outcomes. The organization sees itself as playing an important role in preserving land and providing education. During a time in history when people are focusing on global warming, preserving land has become more popular. The high level vision, mission process served as the foundation for a detailed business plan to clarify the activities required to achieve the stated vision. After creating the business plan, we created a status tracking report to track and report progress against goals and also Board Member’s performance against their commitments. During the quarterly Board Meetings we review status of progress against goals by the owners of each set of goals. We use this time to troubleshoot progress. As a volunteer organization, managing commitments and time becomes very important. Our process was a combination of setting a vision and then checking to see what emerged. We were aware that our will would guide the experience but we had failed in executing against our initial vision so we needed to take a different approach that allowed for constant testing of our hypothesis about what would work. We recognized that our intentions would guide our decisions but we needed a mechanism to reconcile our results with our beliefs. Board Meetings became forums to bring up issues to ensure we were moving in a direction that aligned with our stated vision. We were in a mode of experimenting; not knowing exactly what would happen as a result of each decision. Based on the results, we refined our direction. Analysis of Action Logics.The Strategist action logic understands the need to focus on the immediate need to sell the center and also set the long-term vision of the organization to inspire those affiliated with it. As Board President, I wanted participants to feel inspired about what they were creating, not like traitors for selling this beloved retreat center. A leader at the Achiever action logic would likely have focused on the successful sale without concurrently focusing on the vision. This could leave the organization uninspired in moving forward, emotionally exhausted from the loss, and drained by the large volume of work for a volunteer organization. At the Individualist action logic, the leader might have become diverted by focusing too much on including everyone interested in the process, which could have created a process that would be overwhelming for the volunteer Board in the midst of the sale. Many individuals had ideas about what they wanted us to do without any accountability for the decisions being made. This desire to please too many stakeholders could also complicate the ability to move forward quickly. This is the stage where the change leaders convey critical information. While the information they convey will change over the project term, the need for communication ranges from generating buy-in to asking people for commitment to the change by altering their behavior. Communication will happen with different stakeholder groups at various times and take different tones depending on the change the stakeholder group is expected to make. Some people will just need to understand the change is happening while others will be required to make significant behavioral changes. Messages and timing must be designed to help people understand and respond appropriately. What do I need to communicate to others about my personal change goals? How do I solicit their input and support? What personal stories (actions and emotions) will convey my commitment to the change in a heartfelt manner and empower others to act? How do I show my conviction through my actions (“walk the talk”)? How do I convey my request for input and support when I fall short of my stated goals at points along the way? How do I convey my expectation that others make a strong effort to change along with my understanding that they will also make mistakes in the process? How do I deliver messages tailored to different segments of the organization that motivate everyone to accomplish the vision? How do I convey messages that will make strong statements using both the languages of feelings and of logic to appeal to multiple groups? How do I demonstrate humility and give credit to others? How do I communicate the vision in a manner that is hard hitting and realistic and still conveys our confidence that it is achievable? How do I communicate progress, new challenges and my support for all that is being done? How do I communicate the facts and my hope for the future? How to I communicate that the balance between challenge and overload is important and I want to maintain balance? How do I communicate my need and desire for accurate feedback? What do I communicate when the situation and priorities change? What are our beliefs about communication with regard to who does the communicating? How much information do they share? How often? Do we solicit input or just convey information? What is the appropriate language and message content based on the values, goals, language, and culture of each audience segment (department)? What type of feedback will we seek from segments to determine if they are buying into the vision (objective and subjective)? What is our communication strategy? What is our structured communication plan? Who receives communication? When? Through what medium? From who? What are the key messages? How we keep multiple audiences informed with the right amount of information at the right time to enhance buy-in and influence behavioral change? Do we have any applicable stories connected with company folklore? Of our current communication methods and vehicles, what will most effectively convey the messages? Can we combine and/or eliminate any current communications? Would communication be more effective if multiple projects were discussed in a joint vehicle to help the audience to better understand the linkages and impacts? How do we communicate measures and rewards for successfully accomplishing the vision (ensure a clear linkage between vision and rewards)? What communications are we currently doing that should stop because they are not consistent with our vision? How do we measure the impact our communication has on buy-in and change? How do we improve our communication based on what we learn from measurement? What do I think/believe?My belief about what I needed to communicate changed over time. Initially, I believed we needed to focus on facts and not emotions to allow us to make the necessary decisions. Because many members of the organization were focused on the emotional, I tried to counterbalance with discussions about our fiduciary responsibility and the very real concerns for litigation if we defaulted on the loan without taking appropriate action. When time progressed, I saw the need to talk about our losses associated with the retreat center. I believed that if we spent time early in the transition focused in this area, we would not maintain our resolve to move forward. As we were dealing with our grief, I saw the importance of focusing more energy on exploring our vision for the future and the need to communicate it first among ourselves, then to the broader community. What do we believe? We differed in our beliefs about communication to external stakeholders; this was one of the key issues that caused a Board Member to resign. The question arose about either communicating that we need immediate help or we will go out of business vs. communicating the image of a successful business that people trusted wanted to visit. Both points of view had merit but only one could be done. To decide what to do, we considered the demographics of our customers and our history of financial challenges. We ultimately came to the view that stakeholders would feel angry if they did not know we were closing. As such, we ended up providing a press release on our website with information about our current issues and requesting potential buyers for the retreat center. What do I do? One of my initial activities was to analyze our stakeholders to determine what information the various groups would seek. Using this information I created a communication plan to provide the necessary information to the key stakeholders in the timeframe they needed. My initial communication with the Board focused on our need to move decisively to uphold our fiduciary responsibility to maintain the organization’s financial obligations. As the mortgage was our primary concern, I explored the issues associated with default. My main communication vehicles were email, phone, and meetings. I came to learn who preferred which mode and worked to accommodate their needs as much as possible. I tried to send email to keep everyone aware of decisions and action; they were then free to engage at the level they felt appropriate given their role in the organization and other life requirements. Early in the process, I communicated primarily with the Board and the individuals who had guaranteed the loan (former Board Members). After we progressed past the initial agreement to sell, I began to share more of what the sale meant to me personally. I also talked about my feelings about going along with the flow in earlier Board Meetings and how I felt responsible for my contribution to the current situation. As time progressed and many of us started to deal with our grief, I began clarifying for myself and others what a vision of the future could look like. My intent was to pace the discussions so people could commit to letting go, grieve the loss, and clarify the vision for the future. The stakeholders determined the pace of these discussions based on their internal processes. The following section details communication with the broader community. Based on our discussions about our guiding principles about communication, we developed a high level communication strategy. From that strategy, we created an initial communication plan with key messages to key stakeholders using a timeline. We followed this to a degree as we navigated our way through our beliefs about what to communicate, to whom, and how often. We used the initial web site to communicate the sale. The messages were tailored to the predominant action logic of the groups and took into consideration the emotional connection we perceived people had with the organization. We also reflected on the level of disappointment individuals might experience with our decisions. We then launched the new website apart from the retreat center to communicate our shift in focus from the retreat business and toward the land preservation component of our vision. Having a different website emphasized that we were a different organization. 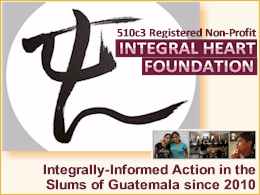 The new website provided more information about the organization’s updated mission and ways to support the organization including funding. Part of our decision about communication was to be explicit about our financial/fund raising needs. Because of the expense of mailing and our limited budget we have not done any direct mailings but plan to do one asking people to sign up for our email newsletter. We increased our visibility by participating in sustainability and green events, often having a booth from which we hand out information and become a more visible presence in the fabric of the “green” community. This also allows us to connect with the community in a face to face conversation. The Columbus Foundation has an on-line donor profile option that allows us to post important information for the donor community including our financials and annual results and impact on the community. We developed a profile during our transition to keep potential donors informed in a manner that is easy for us to support with a volunteer staff. Board meetings are held quarterly after the initial transition activities were completed. We launched a Google group that allows us to share files and maintain electronic copies of our documents so everyone has access to the current information. This site also contains a calendar of events with reminders so Board members are reminded of the action items when due. Analysis of Action lLgics.One of the key differentiators of the Strategist Action Logic is their ability to consciously and effectively communicate to people with different action logics and perspectives. This was something I tried to take into account when talking with stakeholders. Additionally, I attempted to tend to the emotional state of all of the Board Members as we transitioned including my own. I believe my emotional state was not rock solid during the transition and if I could do anything differently, I would have tended to my emotions a bit more during the process – specifically calming down before picking up the phone. At the Individualist action logic, one may have communicated more to stakeholders. Because our direction was very unclear many times, we minimized communication. Individualists tend to place a higher focus on connection so this action logic may have had higher involvement and potentially confusion across a larger group of people. As a note, the retreat center organization had a history of keeping people involved when direction was unclear – thereby creating confusion and resentment at times. At the Achiever action logic, communication may have been more focused on the tactical activities and less focused on either the vision or emotional state of the stakeholder. This is the stage where the leaders create the opportunity for others to move forward and make progress toward the transformation. They focus on removing barriers as well as providing appropriate tools to succeed going forward. In addition to systems and feedback, it is important for people to believe the change they are participating in is possible and attainable. The leaders will increase the team effectiveness during times of uncertainty by sharing personal stories of triumph to instill a sense of confidence that we are taking the right steps and that we will succeed. Do I need to change my perspective or skills to succeed? What is my individual role and value within the organization? How can I effectively grow and empower others? How do I support their success and the success of the organization? How can I benefit from the success of the project? How will I deliver clear, concise feedback that will empower others to correct, redirect or recalibrate their behavior and feel motivated to make the necessary changes? How do I request and deliver clear and concise feedback that allows me to grow and to support the growth of others? How do I determine who is ready for change and what additional support is required for those who are resistant? How am I funding projects and acting to increase organizational awareness and commitment? What creative solutions can I find to increase organizational awareness? How am I following through on the pre-established consequences for behaviors that undermine our success? How can I respond to undermining conflicts as learning opportunities? How do I encourage bad news as well as good? How am I assigning work to ensure the change is accomplished? What is the appropriate reward system based on the organizations values, goals, and culture? What are the stories of prior organizational success? What stories of the past do we need to stop telling because they no longer support who we are becoming? How can we connect prior successes to the current change effort? Why did we have failures in the past? Are we building a culture that supports the behavioral traits necessary to support ongoing change such as freedom and empowerment; where employees are free to act within limits to meet their goals? Is this first order change or adaptive change? What process do we use to identify barriers to success as we proceed? Do we use a change readiness assessment at multiple times during the process to evaluate changing needs? How do we minimize blocks that impaired our success in the past? Do we conduct a change history assessment? What processes need to be enhanced to put the guiding principles into action? Who owns them? How will we implement changes? Do the organizational structure and the governance approach support the future direction and success of the business? What early warning metrics can we create that let us know if we are on track before we have issues (leading indicators)? What metrics do we track daily? Weekly? Monthly? How do we convey required new skills using mastery frameworks that spell out detailed skills and competencies for success? How will the organization build a reward system aligned with the new environment that meets multiple motivations (among people or departments)? Have we set goals and expectations for each individual that supports the overall organization and the change effort? What communication processes do we put in place to provide timely feedback? How are stakeholders included in this communication process? Have we created evaluation and feedback processes that support new behaviors? Have we created, communicated and used processes to identify those not exhibiting or supporting the new strategies and behaviors? Why is this happening? What are we doing to measure, communicate, and fund “learning organization” processes and activities without sacrificing financial security? What do I think/believe?I needed to expand my understanding of what the organization meant to others and understand how they were reacting so I could craft responses that met the needs of others. My communication needed to be tailored to a range of individuals from former Board Members who had been significantly involved to people who felt connected but had little involvement. My own skill sets needed to advance as I needed to learn more about the governance processes required to run a not-for-profit organization effectively. Given that we are a volunteer organization, I also felt a need to get others involved in ways that differed from my for profit business ventures. I had asked for input on what I was doing and needed to transition to helping others own parts of the new operation. While I wanted to continue to own the sale and transition out of the retreat business, I knew I also needed additional support in this area to accomplish all of the tasks. The main benefit I believed I would experience as a result of success was building my skills and confidence in leading a transformation personally. I believed this would augment my experience as a consultant and allow me to better relate with my clients’ challenges. What do we believe? This seemed like an adaptive change. While we were making external changes like selling the retreat center business, we were also changing how we operated as an organization. I believe all of us changed how we thought about our own businesses as well as how we thought about ourselves as leaders. Part of our failure as a Board to effectively run the retreat center was an unwillingness of individuals to speak out when they saw challenges. The Board Meetings were run with a strong emphasis on conflict avoidance under the former Board President such that there was little inquiry and challenging on important issues and meetings often focused on issues of less importance. As we worked through the sale of the retreat center, we became more willing to deal with our own discomfort with open conflict and communication. Our stories of the past actually hampered our success. We had stories of past donors and events that had allowed the organization to succeed with a flawed business plan. We relied on stories from history to lull us into a false sense of security. It was important for us to validate the stories we were telling and change them. One of the stories we needed to change was that a large donor was so committed to our success that she would bail us out. This story was ultimately untrue as, when asked, that person declined the opportunity to assist the organization. The Board agreed that all of us conspired to allow the failure of the retreat business to happen because we did not openly confront the direction, the brutal facts about our financial performance, or the culture. We began to operate in a much more open and honest manner. This change in behavior removed a significant barrier. What do I do? My individual role during this phase continued to involve heavy interaction with many stakeholders. I became more involved with the community of participants than I had in the past. In addition, I spent a significant amount of time talking with all the Board Members during the transition, paying attention to how they were thinking about the organization, the transition, and their roles. As I work with two of the Board Members professionally, we have used the Board experience to change how we work together in our daily jobs. The opportunity to work with the same people in multiple contexts was beneficial in my view because we developed trust and understanding and also leveraged our learning across multiple organizations. This trust allowed us to have more open communication and to address conflict in a constructive manner. I created some of the infrastructure we would need to go forward including conflict of interest statements and changing the By-Laws to reflect our new organization. These By-Laws were intended to reinforce effective governance by refining our organization structure to match the organization that was emerging with different needs. While we did not conduct a formal change readiness assessment, I did try to monitor the barriers people were facing during the transition. I also looked at how our processes aligned with the guiding principles and if we needed to create new procedures. The main change I made personally at this stage was to ask for the support of others in the organization. The Treasurer is now quite involved and has offered significant support in facilitating our transition. Additionally, I came to rely a great deal on the Land Preserve Founder. She not only maintained the history of the organization, she was very competent and likely a primary driver behind the organization’s continued existence. Her reason for being involved at this point in her life was less about personal growth and more about transitioning the organization she founded to competent hands. I came to understand that the organization really needed her support even if she was ready to be less involved. She was pivotal in our ability to actually close the sale of the retreat center as well as maintain a strong relationship with many key donors. While I struggled with asking people to take on responsibilities, I found that when I asked for help she was willing and able to step in and that increased participation gave her a relief from a difficult issue going on in her personal life at that time. How do we do this? Thus far, it appears that our change is successful. Board meetings are “lively” and Board Members differ with one another (and me) actively – something that seems critical for our success. We are now tracking all actions using a detailed status report that measures success against key goals using a red/yellow/green indicator along with status on commitments of action. This report ties the vision to the ongoing actions and allows us to validate that the actions are focused on our highest priorities. In addition, it forces a sense of accountability through its transparency. We have not done anything formal with rewards other than public awareness of commitments and agreements. Over time we will create a stronger sense of accountability within the group instead of to me. Analysis of Action Logics – One of the elements of Strategist is the ability to balance focus on group process and results. An Individualist would probably have spent more time gaining consensus while an Achiever may have spent more time pressing forward for results without gaining consensus. I experienced a shift in my behavior several months into the process when I began to reduce my requests for input. I came to believe that my need for feedback on non-critical items was exhausting me and others so I moved to a more results oriented approach – seeking input only on items that I thought were critical for everyone to support. This shift dramatically improved my effectiveness and did not seem to adversely impact other Board Members. This stage is where the organization is determining how to time phase the results. It is important to deliver results over the life of the project to keep people engaged and committed to the vision. These wins must come early and be meaningful to those involved. When possible, focus on delivering wins that are important to key stakeholders. What do I consider personal short term wins? What do I consider wins for my team? What do I consider wins for the organization? Why do we need short term wins? How do we incorporate short term wins into the project without impacting long term project success, schedule or cost? What decisions need to be made in the short term to support long term success? What are the “Top 10” list of items we need to succeed? What wins can I identify and support that solve “problems” for others or that are seeds for future shifts? How do I publicly recognize people who accomplish the wins? How does this communication reinforce my own values among the group? What changes in my behavior will demonstrate a strong statement to others and support their change as well as mine? What wins will provide meaningful business results? The most momentum toward stated business objectives? What wins will provide emotionally meaningful results? What stories can we tell about the wins that will be shared with the organization in public settings such as town hall meetings? Who are the leaders within the sub-cultures who can best communicate wins? What wins reinforce the changes in our culture and values? How do I build short term wins into the project plan? How do I ensure that early wins are important to key stakeholders? How do we track and measure wins and their impact against overall goals? How do we track early warning metrics? How do we reinforce and reward the behaviors such as developing skills specified in mastery frameworks? How do we communicate wins to the larger organization to sustain focus and energy? Who do we need to support the change effort for it to be successful? How can our project help these key people meet their personal objectives? How will we identify short term wins in the context of the larger project objectives? How will we connect wins to vision and measures to demonstrate the impact of small steps forward? How will we measure (objectively and subjectively) and communicate the merit of wins in relation to overall goals? What do I think/believe?I believed the most important win was finding a solution that would allow us to meet our financial obligations while also keeping the retreat center open for operation, if not run by our group. In my opinion, we needed to show the people who guaranteed the note that we were taking clear action to address the risk they faced. I felt a strong personal commitment to this goal as I did not want to preside over an organization that defaulted on its commitments and went into foreclosure. In my mind, the wins for the organization were also wins for me at this point. I think my success as a leader was measured by what our stakeholders believed during this time. While we are a volunteer organization, I still felt pressure to perform since I have built a professional reputation on being able to consult clients on successful organizational transformation. What do we believe? It seemed clear that we needed to sell the property or raise a significant amount of money. We had been telling the story that we would act in a manner consistent with our values and sell the retreat center to someone with similar values. Maintaining this belief was emotionally meaningful to the long term members of the organization. We valued our reputation as an organization dedicated to connecting people with nature and selling the property to someone with conflicting values would hurt our image of ourselves as stewards of the organization. What do I do? My role was creating the Request for Proposal, posting it to multiple web locations and also sending it to people we thought might be interested. I also tried to organize groups of people who might be interested in bidding on the property to ensure the retreat center was maintained in a manner that honored its past. The other action I took was just keeping my head down and focusing on getting the work done. I accomplished many of the tasks through strict attention to the daily tasks of writing documents, meeting with people, sending email, making phone calls, etc. We had a plan and I took on many of the tasks during this phase as I was the one most able given my professional experience and relatively flexible schedule. While there were days I felt frustrated and exhausted by the process, I also felt called by my vision of what we would create at the end and simultaneously guided by my principles about appropriate action. I acknowledged others’ contributions regularly in our ongoing conversations. While I believe I communicated this often, I wish I could have done more to convey my sincere gratitude for the work and emotional support our Board Members provided during this time. How do we do this? We developed a Request for Proposal that spelled out selection criteria that favored keeping the retreat center available for public use. This step reflected action aligned with our verbal statements that we wanted to “protect” the property and steward it into its next incarnation. This critical short term win set us up for long term success not only in the sale but also in maintaining the trust of stakeholders. Our Land Preserve Founder was masterful in communicating our progress and triumphs to important stakeholders. As a Board, we needed to show the people who guaranteed the loan that we were tending to the sale aggressively to minimize their financial exposure. Stakeholders were also concerned that we would sell to an organization that would not honor the initial vision. These individuals needed to see our solicitation process aligned with our talk about what we would do. Analysis of Action Logics. The Strategist action logic is able to balance the needs for building alliances, tending to processes, and delivering results. I focused on both short term wins and also kept my eye on the horizon, ensuring my actions were aligned with our future vision. Potential behaviors of Individualists would include greater focus on people related process and buy-in. This could lead to a delayed sale and delinquent mortgage payments. Achievers may have overtly focused on selling the property and possibly have alienated long term supporters through a minimal focus on communication and little recognition of the emotional impact of the sale. This stage is where the organization is actively focused on making the change happen. To maintain momentum, it is critical to keep urgency up and minimize the false sense of comfort that may come from early success. It becomes critical to remove all work and barriers that impede progress and allow people to continue to do business in ways that conflict with the stated change. How do I honor the progress we have made while maintaining focus on the balance of the work that needs to be done? How do I deal with uncertainty on unresolved issues and uncertainty as we move forward? How do I deal with both profound progress and a need for continued change? How do I deal with unresolved issues and uncertainty as we move forward? What do I communicate that conveys both progress and continued urgency? Am I “walking the talk”? Am I living up to the standards I have set for others? Am I perceived as acting with integrity with regard to meeting my commitments? How do we monitor and build morale in different departments as they experience the pressure of balancing daily operations with making change? How do different departments (subcultures) maintain morale? What recognition is appropriate for different groups and departments? Have we documented all processes and jobs that are changing? Are we following a structured plan to implement the process and job changes across the organization? Do we need to provide training to employees or customers to successfully implement change? Do we continue to evaluate metrics against stated goals and reinforce success? How do we track a “Top 10” success factor list? How are we working with those not accomplishing stated goals to build safety to take risks, build skills sets, and build commitment to change? What have we done to identify systems that do not reinforce change and identify tools to resolve issues such as: job starts and stops, and mastering new job skills? What processes will we establish to identify work that is no longer appropriate or necessary in the changing environment? What processes will we create and staff to evaluate the opportunities that can be leveraged to create additional momentum? Are we reviewing measures regularly and recognizing results toward the change goals? What do I think/believe?Unresolved issues and uncertainty marked this entire transition. My main approach to dealing with the uncertainty was paying attention to the necessary tasks and taking action with strong guidance from the Board. During this phase, I needed to tend to my own emotional condition regularly as what appeared to be progress one day often looked like failure the next. This emotional roller coaster continued for months. During this phase, I was also experiencing personal turmoil at home during this phase. I did my best to meditate and spend time alone in nature. This helped me to clear my head and maintain some sense of balance and belief that things would work out well. When possible, I also looked to two other Board Members as sounding boards. I continued to feel a strong sense of urgency as I focused on the sale and transition as well as the new vision. I believed we needed to close the sale before we could move forward successfully. What do we believe? As a Board, we continued to meet and focus increasing energy on what we were creating. During this time the sense of loss began to pass and a sense of hope for the future of the organization strengthened. Moving forward with the sale would be the greatest emotionally meaningful result. When the future buyers signed the land contract, the mood and focus of the Board shifted significantly. We still paid some attention to transition but most of our energy was focused on what we wanted to create going forward. The Land Preserve Founder sees this as her legacy and we are all committed to creating an organization that serves our community on many levels. What do I do? I believe I walked my talk and met my commitments. I believe I held myself to higher standards because I held the role of Board President and felt accountable for the success or failure of the organization. Additionally, given the pressure that I placed on myself to prove my ability to lead a transformational change, I made a very conscious effort to adhere to my personal standards. Though there were some things that fell through the cracks, I tried to focus on the most critical item each day. We did find a buyer eventually and I worked closely with them to negotiate the contractual terms as well as address all of the concerns associated with the operational transition. This process took several months – much longer than seemed reasonable and each day I tried to focus on our overall goal as well as the significant details. How do we do this? We had several people interested in purchasing the retreat center. We spent a great deal of time with them and, at the end of the day, did not receive any proposals that met our criteria. As such, we continued to meet as a Board and explore alternatives and options. We developed a detailed transition plan to address multiple possibilities and outcomes. We continued to meet every two weeks to discuss our status against actions and refine our approach based on what had happened during that period. After additional time passed, we did find a buyer so everyone became involved in reviewing contracts and transition documents. The Land Preserve Founder stepped in and helped a great deal at the end of the sale process. Because the processes would change so much as we went forward, we focused on closing out and transitioning the retreat center business while concurrently understanding the new operational requirements. We transitioned most of the duties the Executive Director had performed to Board Members. To help in this transition, we had created a plan detailing what activities could be eliminated once we were no longer operating a retreat center. However, as Board Members started performing their new tasks, they identified areas that needed more attention to close out beyond what had been anticipated. We continue to participate in community activities and connect with current and potential stakeholders. As we move forward, we look for additional ways to accomplish our mission. We are taking a rather organic approach to this part of the building process, watching for opportunities as they present themselves rather than actively building the organization. Analysis of Action Logics. The Strategist action logic sees the need to align actions with long term strategy and take actions aligned with those goals. At the Individualist action logic, I may have gone off course by focusing too much on gaining consensus for the changes we were making before we understood what we would be able to provide. It took us several months to become clear about the final transition and clarify what we would be able to do given our resources and time. Indeed, we found ourselves becoming more cautious about what we could deliver as we moved through the transition. At the Achiever action logic, I could have been more concerned with the details of the process and making sure all of the steps were tended to without understanding the impact of pressing forward aggressively on the overall operation. The buyers moved at a pace much slower than we believed necessary and we had little control over their process. Again, a focus on being finished could have derailed the purchase. As it was, we had to have multiple Board Members involved in the transition – taking a good Board Member and bad Board Member role at times. While this was not our intention, it was the approach that finally allowed us to complete the sale. This phase presented a real example of the need for dynamic steering as we were faced with new information regularly that required altered approaches to accommodate new alternatives. The Achiever may have been inclined to pick a direction and achieve, not being as open to considering new alternates and directions as the presented themselves. This is when the organization solidifies the change and it becomes part of normal life rather than a special project. Some of the actions that can encourage the change to take root include: updating the recruiting and On-Boarding processes, refining the promotion process to reward those who behave in accordance with the stated goals, and creating new stories that reinforce the new culture. What progress have I made as a leader/person? Are my assumptions still valid? Am I still in the right role for my personal values and mission? When I think of my mental, emotional, moral and physical state, am I still the right person for the job ahead? What do I do that reinforces the value of the change? What do I do to encourage new behaviors and personal growth? How am I continuing to show the new behaviors I have publically and privately committed to? How do I continue to send my emotional engagement, the logical case and the upper management support for the new way of doing business? How do I emphasize the focus on systematic change that encourages but does not insist on personal growth? How do we see ourselves now? How will organizational goals and values change based on the change effort? How do we react to old behaviors that no longer support the organization? How do we shift our focus in support of long change efforts without losing the value of recent gains? How do we incorporate new jargon, best practices and human interest into emerging organizational stories? How do our rewards for small accomplishments push us toward the overall organizational success? How is the organization acknowledging people who have made the desired changes (job starts and stops) and mastered new skills? Do we continue to measure and reward actions that are necessary to sustain the change using the updated job descriptions and process metrics developed during the project? Have we built the changes into the ongoing training processes? Have we sufficiently updated employee orientations and other human resources and IT systems to support changes in goals and values? How have we incorporated the “Top 10 list” into our systems and processes? Have we reviewed objective and subjective measures regularly and recognized results impacting the change goals? Are we reinforcing actions that positively influence the larger vision and inquiring into those that do not? Have we developed and tracked success measures and created feedback and improvement loops? Are we making changes based on the feedback? What do I think/believe?As a leader, I gained clarity about how much input I seek from others. I found that there was definitely a time when more of a good thing (feedback) became counterproductive. I came to rely on my team and developed a belief that the team composition is highly important to success. I also gained clarity about the amount of energy I needed to expend to deal with my own emotions so I could be present and positive for others as they dealt with theirs. I am more confident than ever that I am in the right role for now as it is aligned with my personal values and my skills. I am focused on building the infrastructure to sustain this organization long term. I am also clear that I will rely much more on the Board Members going forward to own different parts of the organization’s success. My role has and will continue to change. What do we believe? We have moved from an organization with multiple employees and a lot of activity to a small volunteer Board-managed organization that is looking for ways to make our resources available to others with minimal financial outlay. We have moved to a culture of working in harmony with nature in a way that is sustainable for the Board as well as the land. What do I do? My actions have shifted from the sale of the retreat center to solidifying the new mission, business plan, processes, and actions. I continue to look for opportunities to expand our impact on the community while also preserving the energies of the Board Members. How do we do this? We have completely redone the business plan, recruiting processes, fund raising approach, Board orientation and website. Our activities have shifted to connecting with other green organizations and talking about land preservation. Because we do not have the same requirements to run a retreat center, we can focus more on education and developing programs that allow us to have a broader impact on the community with less effort on our part. Board Members seem to be more excited about their contributions as they are using their skills in ways they were not called to do earlier in the process. We are in the process of developing new processes for fund raising to allow the organization to meet its financial goals. These may include leasing the property to special interest groups for their activities including hiking, morel hunting, bird watching, etc. Additionally, we are exploring options to provide additional funding by partnering with tree farmers to make land available to incubate trees. We continue to use a dynamic steering approach, responding to opportunities as they emerge and confronting the difficult situations we face. We rely on the business plan to inform our actions and a status report to track our progress against the plan. We have more work to do to build our financial model and we are making steady progress toward that goal. Analysis of Action Logics. At the Strategist action logic, I was able to see the mission, processes, and tasks that needed to happen. I tried to structure each component such that it supported the overall mission. I tended to the interconnected nature of the system, paying attention to multiple stakeholders and their goals and how our plans incorporated the needs of as many as possible. I worked to balance a bias for results with the need to attend to relationships with key parties along the way. At the Individualist action logic, I may not have focused enough on clarifying the solid business processes needed to sustain a healthy organization going forward. As an Achiever, I may have done a very good job at establishing process with insufficient attention to the emotional needs of the Board Members. In this situation, had I neglected other’s emotions, I could have lost most if not all of the Board Members given that this transition took a year to complete. Through this paper, I have provided a series of questions that can serve as a guide to leaders wanting to successfully implement transformational change in their organizations. My intention was to illustrate how these change questions can guide the leader’s behavior during an organizational transformation. Which questions a leader chooses to use will depend on their current action logic, the nature of the change, and the organization. I do not hold myself as a role model, rather as a student exploring how this material works. It is through my studies and explorations that I am able to share these experiences with others and function effectively as a consultant using these frameworks. 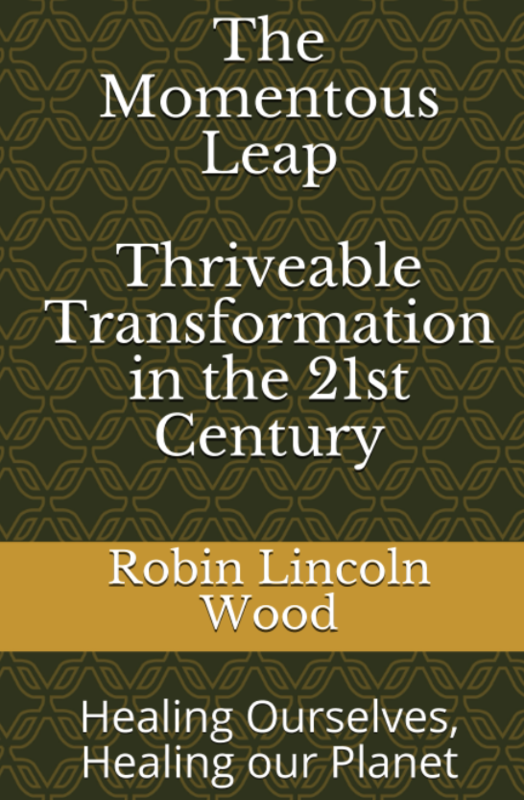 I hope you find this material helpful as you do the important work of transforming organizations during a time in history where successful transformation is quite important as a service to our society. Jim Collins (2001). Good to Great: Why some Companies Make the Leap …and Others Don’t. New York, New York: HarperCollins Publishers, Inc.
Susanne Cook-Greuter (2002). “A Detailed Description of Nine Action Logics in the Leadership Development Framework Adapted from Leadership Development Theory,” www.cook-greuter.com. Ronald A. Heifetz and Donald A. Laurie. “The Work of Leadership.” Harvard Business Review, Breakthrough Leadership December 2001. John P. Kotter and Dan S. Cohen (2002). The Heart of Change: Real-Life Stories of How People Change Their Organizations.Boston, Massachusetts: Harvard Business School Press. John Forman and Maureen Metcalf. Implementing Service and Support Management Processes: A Practical Guide. Annex A6.2 Questions to Guide Sustainable Change, March 2005. Maureen Metcalf (2008), “Level 5 Leadership”: Leadership that Transforms Organizations and Creates Sustainable Results, Integral Leadership Review, March 2008. Ken Wilber (2003). “Introduction to Integral Theory and Practice: IOS Basic and AQAL Map.” www.integralnaked.org. John Forman is a consultant, executive coach, author, guest lecturer, and founder and managing partner of Integral Development Associates, LLC. He is also a founding member of the Integral Institute, co-director of II’s Business and Leadership Center, co-director of II’s Christian Ministry Center, member of the Integral Spiritual Center and serves on the editorial of the Journal of Integral Theory and Practice, a refereed academic journal on the advancement and application of integral theory and methodology. For more than 15 years, John has advised organizational leaders and managers in areas ranging from change management and executive coaching to strategic planning, organizational development, cultural diversity and complex communications issues. His work has been included in the curriculum of graduate-level classes at the University of Washington Business School, at the National Defense University, the Bainbridge Graduate Institute, and has also been featured in six PhD dissertations and four books. Dena Paluck is a consultant, lecturer, and a key member of Metcalf & Associates, Inc. She has built a track record of success in leading mergers and acquisitions, due diligence, leadership assessment and coaching, process design and project management. She focuses on identifying and addressing barriers and opportunities required for organizational transformations. Dena excels in evaluating organizational systems including culture, leadership, and business processes. She combines analytical excellence and human performance acumen with her skills in change management and leadership development. Dena is a Lecturer for High Impact Leadership in the Capital University MBA Program. Her industry expertise falls in: insurance, financial services, human services and the non-profit sector.